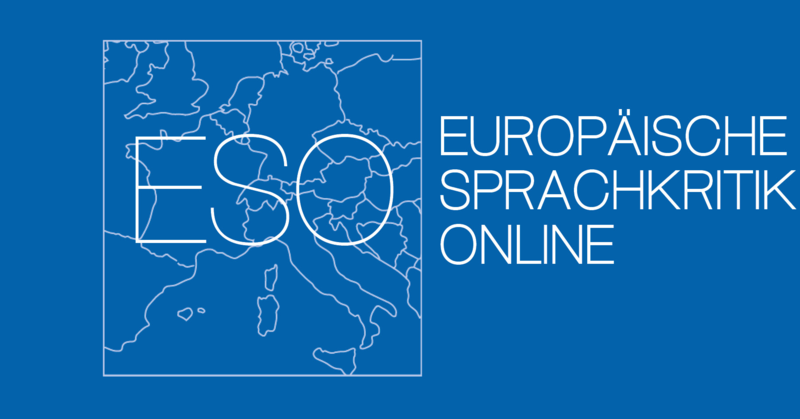 The project Europäische Sprachkritik Online (ESO), or European language criticism online, aims at documenting and comparing the current trends of subjective metalinguistic reflections in European languages in order to lay the foundation for a new academic field that will extend the German tradition of Sprachkritik (‘language criticism’) to the European context. 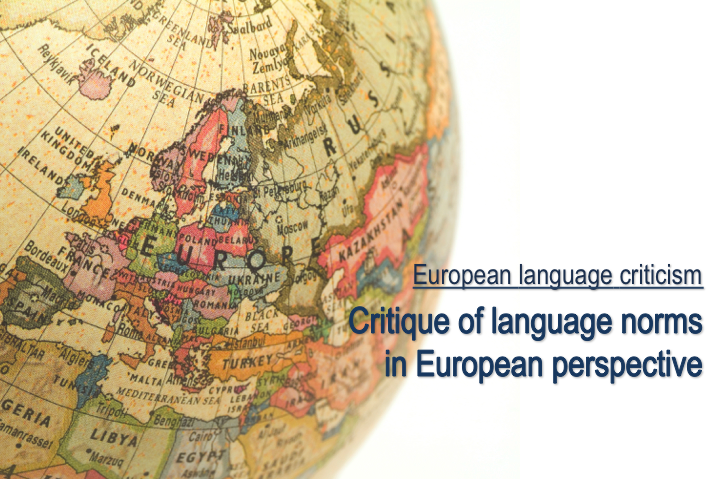 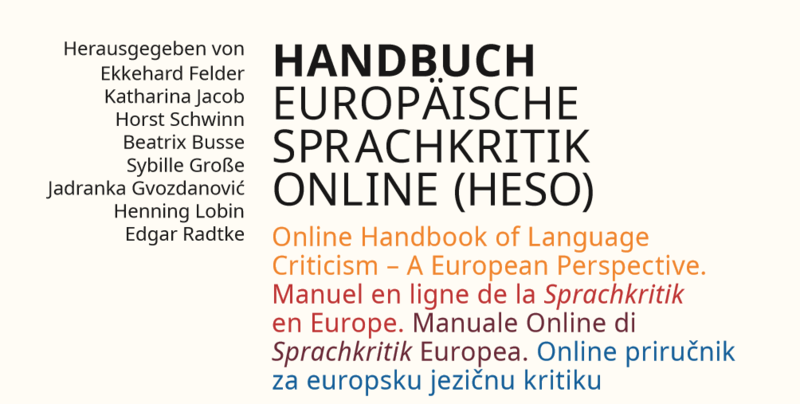 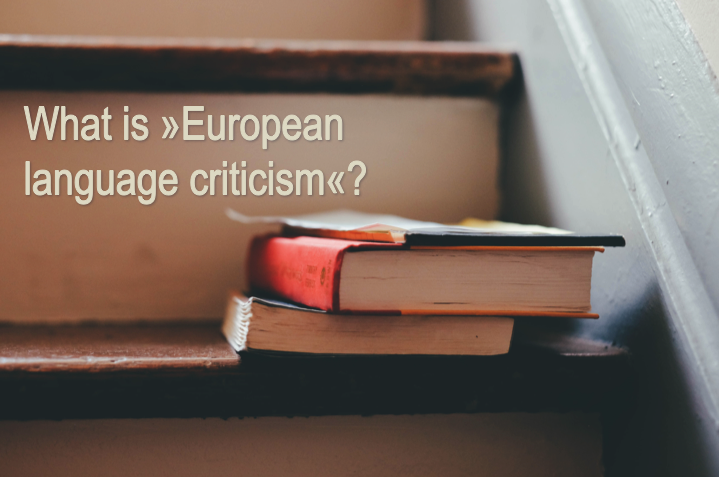 The Online Handbook of Language Criticism – A European Perspective (HESO) is ESO’s scientific publication medium. 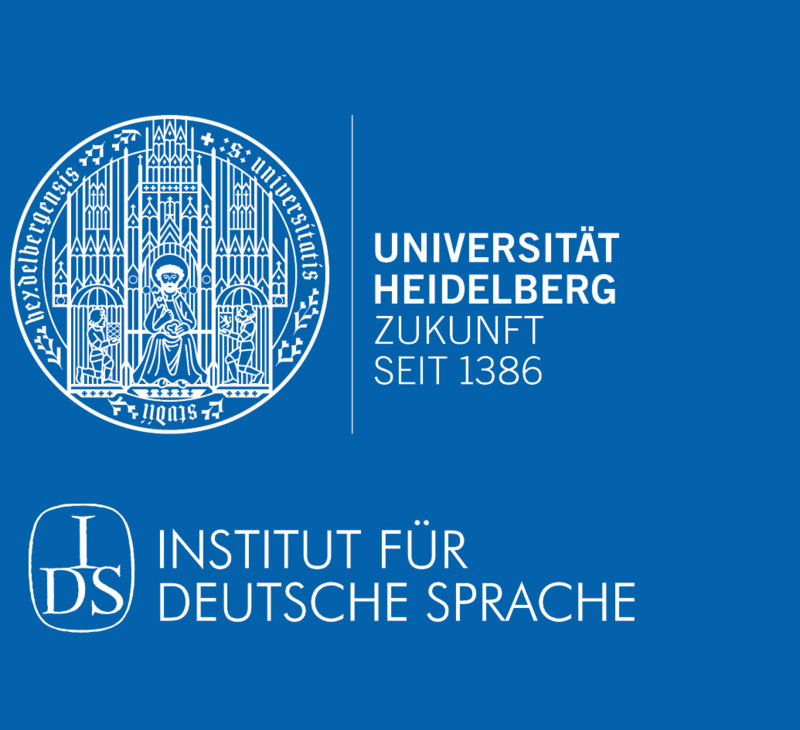 The project is embedded in the European Centre for Linguistics (EZS), which is a cooperation between the Institute for German Language in Mannheim (IDS) and Heidelberg University. 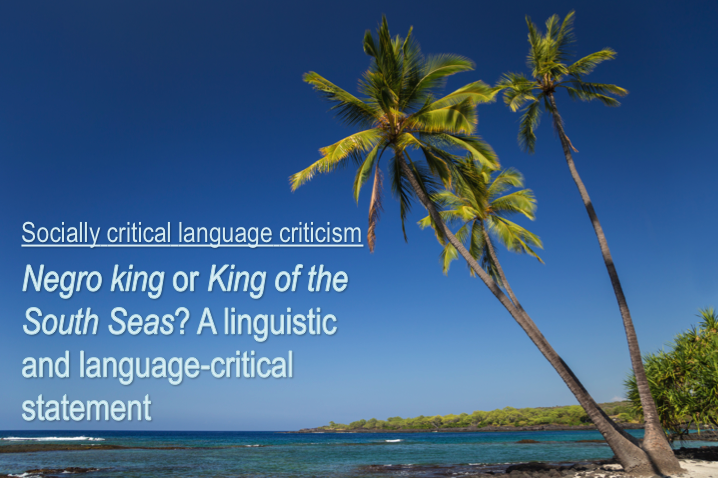 You can discover and discuss language critical topics in the section headed Socially critical language criticism.